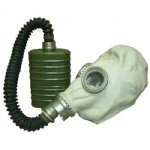 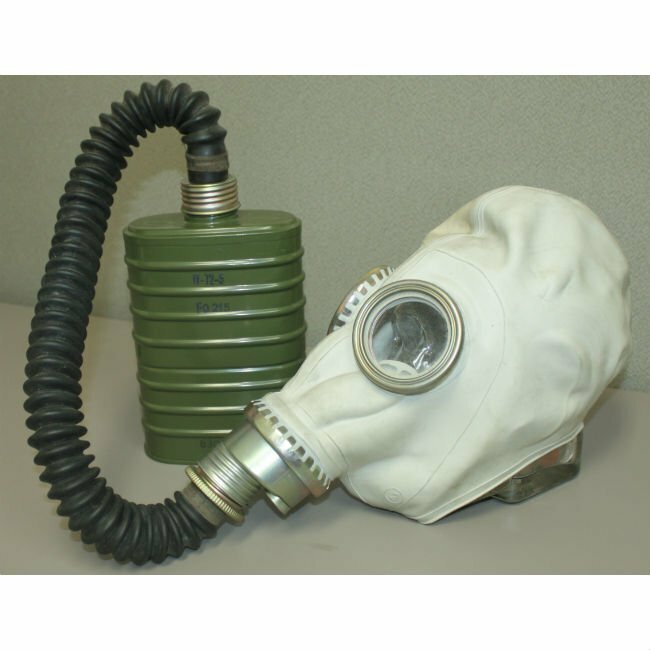 Polish military OM14 gas mask kit. These appear to all be unissued old stock. 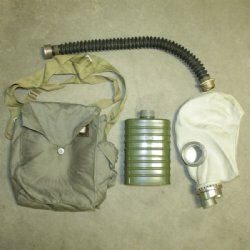 A great military collectible that can be used effectively in a time of need. 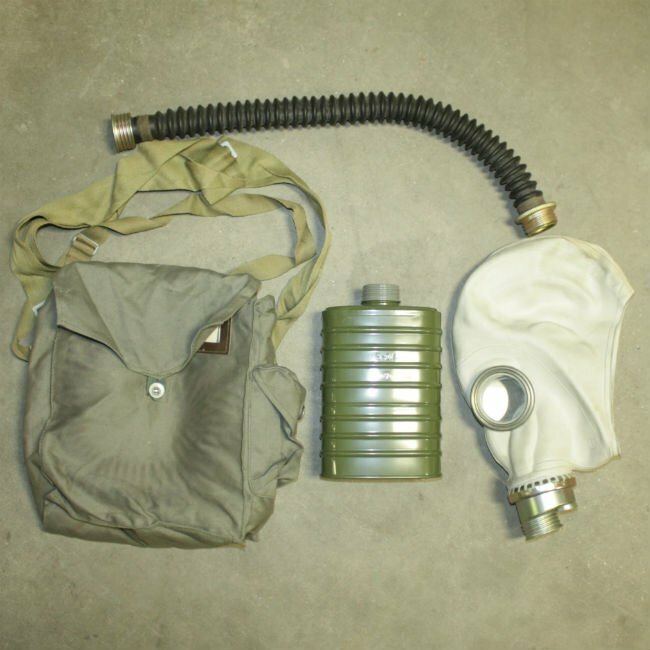 Each kit includes the bag, mask, hose and filter. 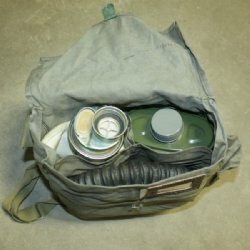 Some kits include accessories or military literature. 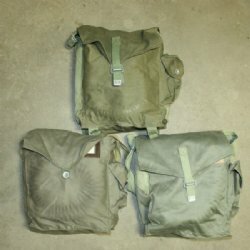 These were made over a number of years so expect variation in the color/design of the bags and masks. Mask is constructed from latex with sealed glass lenses.